At the Moy Ridgepool Barrett Street Co. Mayo, Ballina, . 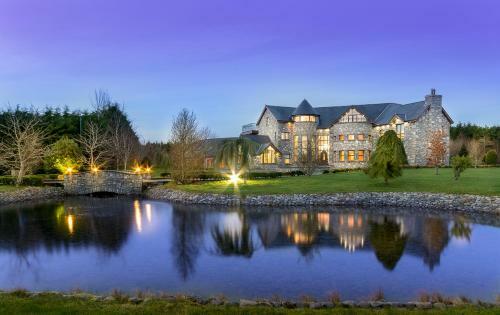 Enjoy a memorable break at The Ballina Manor Hotel in Mayo. Located on the River Moy in the centre of bustling Ballina The Ballina Manor Hotel is a family run quality hotel formerly the Ridgepool Hotel with so much to offer you. Sitting on the banks of the Moy you ll have one of Ireland s top fishing destinations on your doorstep. With genuine value and a commitment to service our excellent restaurants and intimate bars will provide a wonderful setting for your holiday in the west of Ireland. From golfing and surfing to heritage tours and country walks Ballina has something for everyone. North Mayo is also the ideal option for conferences seminars and meetings and the range of activities will keep delegates and executives busy during their stay. Or you might be considering a weekend away for the girls - we d love to have you. Arrive in on the train fly into Knock airport just a half hour away or make us the base for your driving holiday in the west. From fine dining to a cozy bar - it s all covered. For many this is one of the most important parts of the holiday getting the chance to sit down and take your time over a wonderful meal or a long lunch is a real treat. At home or work you may just grab enough to keep going. At The Ballina Manor Hotel our approach is simple - relax and enjoy our range of bars and restaurants - without leaving the hotel. Whether it s a special dinner for two a family friendly bistro a traditional Irish pub or a cosmopolitan cocktail bar you re spoilt for choice. Consider your options... Ridgepool Restaurant With views of the Moy Restaurant and named after the famous stretch of the Moy this is evening dining to excellent standards. The Bently Bar A perfect pre-dinner drinks location our cocktails really must be tried. The Bridge Tavern For a traditional experience and a great atmosphere visit this cozy bar and bistro. River Room Private dining for special parties groups and occasions can also be accommodated. 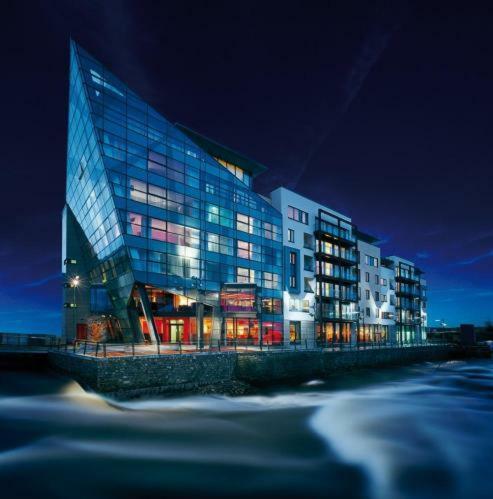 Hotel Ballina is a luxurious four star hotel in Mayo situated along the Wild Atlantic Way. Hotel Ballina provides 87 modern spacious and comfortable guestrooms. Sit back and relax in McShanes Bar & Bistro offering seasonal menus with a selection of dishes that range from the familiar to the innovative using locally sourced produce. The Leisure Club & Spa has been created to revive your spiritual well-being in an oasis of calm. We offer complimentary access to our residents to our Award Winning Leisure Centre. Local area and attractions include golf fishing horseback riding walking sightseeing theatre museums shopping or a night on the town. Ballina has something for everyone to enjoy. Enjoy Ample Free Car Parking & unlimited Wi-Fi in all Hotel Public Areas and Bedrooms! Great National Hotel Ballina takes special requests - add in the next step! We at The Great Northern pride ourselves in providing the highest standard of accommodation and facilites in a family atmosphere. 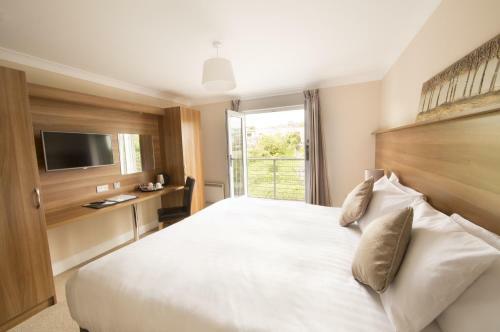 This Luxury hotel is located on 130 acres of parkland and boasts a Championship 18 hole Golf Course as well as a beautiful Leisure Centre & Conference Centre. All our bedrooms are en-suite with direct dial telephone multi-channel tv hairdryers and tea and coffee making facilites. Enjoy a relaxing gourmet meal in Our Atlantic restaurant where we serve fine wines. Choose one of our lounge bars or dance the night away in our Atlantic Ballroom. Located on the banks of the River Moy Mount Falcon is a stunning Baronial structure designed and completed in 1876 by James Franklin Fuller all created from the love of one young man Ultred Knox for his young bride. A warm welcome awaits visitors to Mount Falcon Country House Hotel resting on 100 acres of landscaped gardens and woodlands lovingly restored and now dedicated to the pursuit of leisure health and relaxation in this beautiful part of Ireland. Our spa and leisure centre gym steam room sauna loungers and treatment rooms are available for your enjoyment. The Boathole Bar original wine cellar and the first class Kitchen Restaurant specialise in the finest quality Irish produce (awarded 2 AA Rosettes). Mount Falcon Fisheries offers 2 miles of private salmon fishing on the river Moy and a 3 acre rainbow trout lake that provides fishing all year. Fly fishing instruction available on request. Brown trout fishing and sea trout fishing can also be arranged. There are 12 golf courses within a 30 mile radius of Mount Falcon. Ballina Golf Club is less than a 5 minute drive and there are 3 championship links courses within an hours drive. 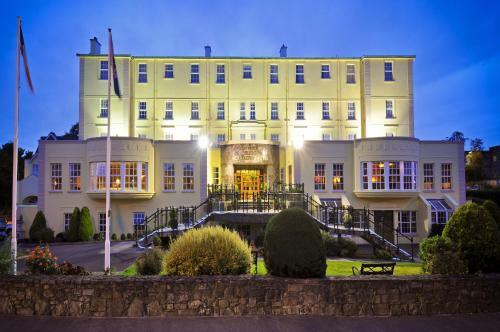 Just one mile south of Sligo s businessshopping and nightlife the Sligo Park Hotel is located in lush landscaped parkland surrounded by some of Ireland s finest scenic countryside. The 4 hotel with 137 newly renovated and extended bedrooms offers you contemporary styling in a beautiful setting. This unrivalled Northwest conference venue caters for up to 550 delegates and is equipped with the most cutting edge audiovisual equipment. Savour the atmosphere of the Rathanna bar and Garden Terrace and enjoy the creative delights in the Hazelwood Restaurant. 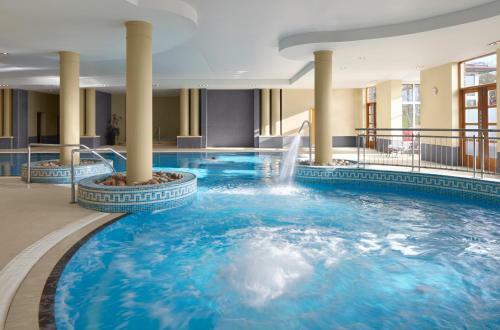 Relax in the health and leisure club which includes a 16metre swimming pool sauna jacuzzi steam room and hi tech gym. Holistic treatments available.Ideal for business or vacation. The Ice House Hotel & Spa is a beautiful luxurious hotel situated on the picturesque River Moy Estuary in Ballina. Originally a 19th Century Ice Store the hotel has been beautifully restored offering guests a unique and intriguing retreat. Bedrooms and suites at Ice House are stylish and contemporary with floor-to-ceiling windows super king-sized beds Wi-Fi and flat-screen TVs with DVD players. Bathrooms feature L Occitane toiletries hairdryers and hair straighteners. The Ice House Restaurant and Cocktail Bar overlooking the River Moy boasts a mouth-watering standard of food celebrated by the Country s leading critics. Spoil yourself and rewind with a relaxing treatment in Chill Spa. Our professional experienced therapists will consult with you on our extensive list of treatments. The Ice House Hotel also has plenty to do and see nearby fishing golfing scenic walks and more so whether you are looking for a relaxing escape or an adventure the Ice House Hotel is the perfect choice for your stay. 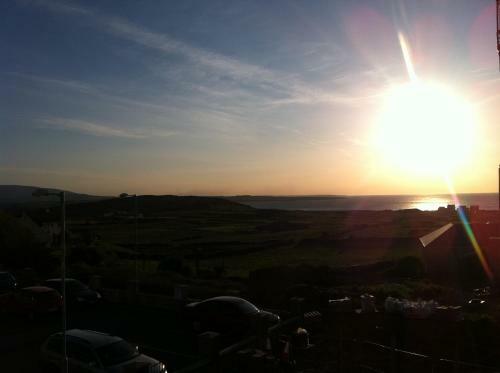 Located 12 km from Sligo and 34 km from Bundoran, Atlantic Coast offers accommodation in Carrowreagh. 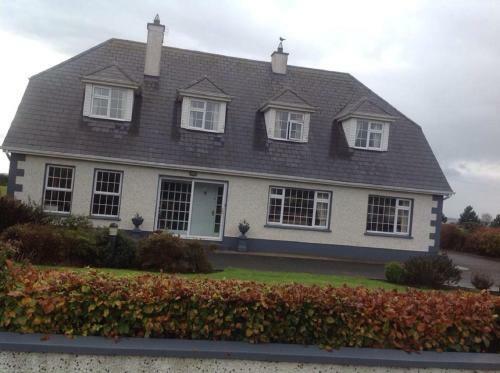 The property boasts views of the sea is 36 km from Ballina. Free WiFi is featured and free private parking is available on site. The Waters Edge is located on The Wild Atlantic Way at Aughris Head. Free WiFi access is available and the property offers free parking. The property boasts uninterrupted mountain and sea views from the living room and all of the bedrooms. 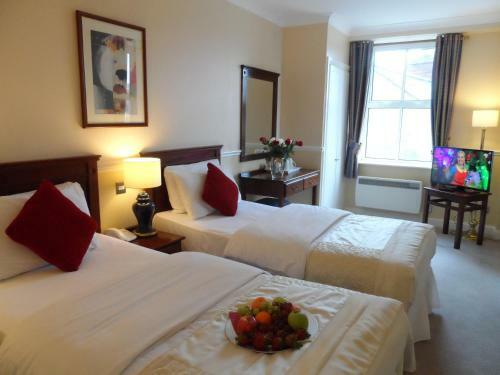 Featuring free WiFi throughout the property, Harbour House Budget Accommodation offers accommodation in Sligo, 1 km from Yeats Memorial Building. Free private parking is available on site. You will find a shared kitchen at the property. Castledale offers accommodation in Sligo situated only 4.5 km away from the city centre. 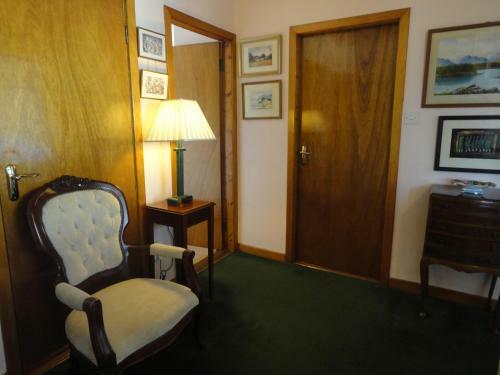 This spacious property offers WiFi throughout and free parking. All rooms offer an en-suite bathroom and panoramic views. 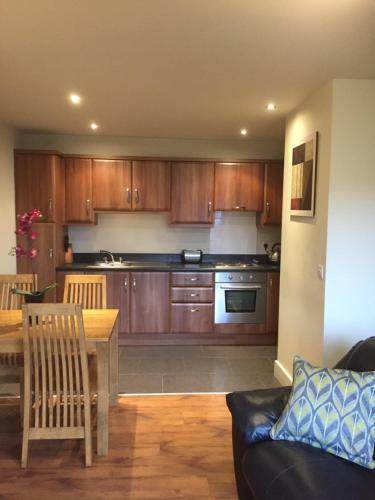 Milligan Court offers 20 apartments located in Sligo city centre. Each apartment provides a fully equipped kitchen, dining area, living room with TV, entry phone system and free WiFi. 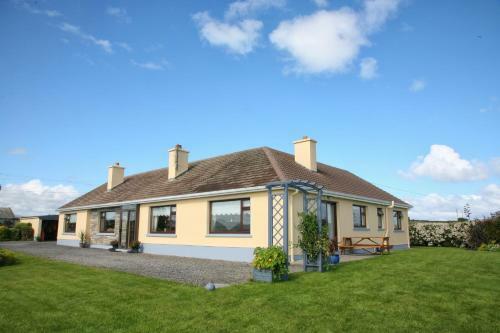 Donfore Cottage is a detached holiday home with a garden, set in Ballinphull in the Sligo County Region. 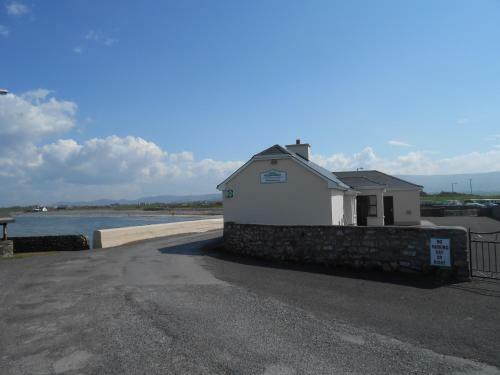 The property is 13 km from Sligo and free private parking is offered. Free WiFi is available throughout the property.